I don’t usually like the remake better than the original, but I really liked the Lost in Space movie. Maybe it was just seeing Mimi Rogers in that outfit of hers. But it was probably evil Gary Oldman. When that Dungeons & Dragons itch strikes but you don’t want to deal with cranky DMs, there is the TSR Dungeon board game. 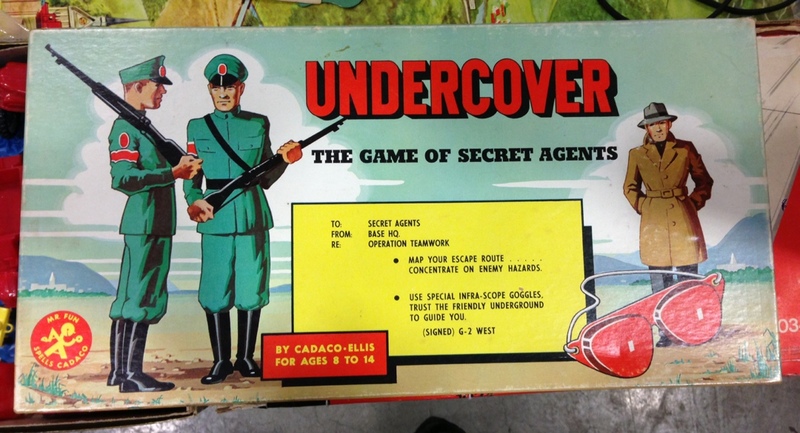 From the height of the cold war comes Undercover – The Game of Secret Agents.